Getting a deer off public land right after firearms is a feat in itself!! This little one is going to taste great. Beutiful yearling! Was the shot a pass through? Nice going, good eating there. Difficult when following right after firearms season, good job. Yeah brother, way to go! Saving the landscape one deer at a time. Congratulations on the public land deer ! Congrats. 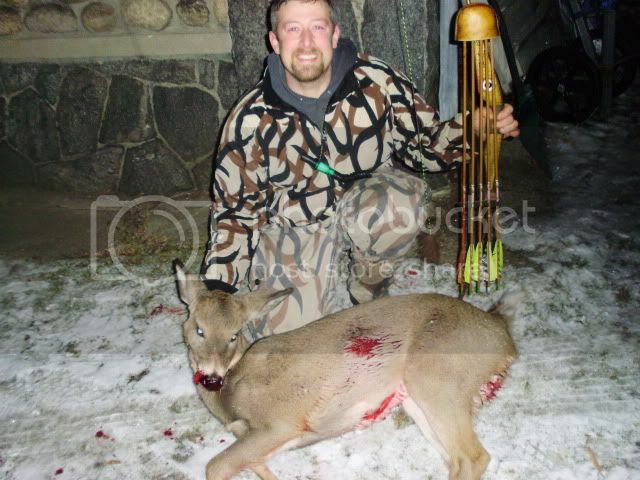 Nothing more satisfying than a deer off public land with a trad bow!! I have never hunted public land but I can imagine the problems. Nice job. Fire up the grill I can taste those tender back straps already. Congrats! You are right. Public land hunts are very tough, especially after gun season. Well done.